The National Association of Home Inspectors was one of the three primary nationwide home inspector associations in the United States. The others are ASHI – the American Society of Home Inspectors and InterNACHI – the International Association of Certified Home Inspectors. 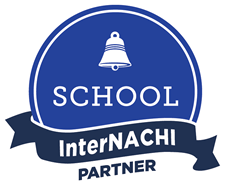 Currently InterNACHI is the largest of these organizations and we work very closely with them and their founder Nick Gromicko. In late 2016 NAHI closed its doors. For more details newer developments regarding NAHI you can click here. As a longtime affiliate of many home inspection associations, Inspection Certification Associates provides all of our graduates with a free one year membership to InterNACHI. That way graduates of the ICA online home inspection training course really are walking away with dual credentials. You’ll be issued your ICA Certification along plus you’ll have your InterNACHI membership. Now keep in mind you are under no obligation nor is it necessary to join any association of home inspectors unless you want to become a home inspector in Pennsylvania or Alabama. Those are the only two states that require home inspectors to become a member of a home inspection association. Some of the benefits of joining InterNACHI are mentorship for new members, the ability to attend chapter meetings, and the ability to participate in continuing education sessions. Some home inspectors prefer to belong to a home inspector association, some do not. The last nationwide survey showed that 1 out of every 4 home inspectors in the United States belongs to a membership organization. That said, if you were to look into the most successful 100 home inspectors in each state you would probably find that 90 of those top 100 home inspectors are actually InterNACHI members. 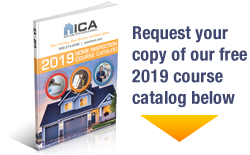 That’s why ICA has partnered with InterNACHI, so that if our students want to join a home inspection membership association, they get started on the right foot and are ahead of the game.